We’re down the rabbit hole for sure. Actually, it’s how I imagine a caterpillar would feel in the chrysalis. No longer a caterpillar, but not yet a butterfly. Normally, the two-week period between eclipses is a weird, volatile space. This one, however, is infinitely weirder, as the Sun, Moon, Earth, and Venus move into closer alignment next week. I’ve been so sleepy I can barely keep my head up. I bumped into an astrologer friend yesterday at the Vashon farmer’s market who recounted the story of a friend of hers who took a bath one evening, fell asleep in the tub, and didn’t wake up until morning! There’s so much going on “up there” that it’s hard to know what phenomenon is causing all of this strangeness. All we can say is that it is indeed strange. Some of you know that my project this quarter is the preliminary work for a full-length documentary about professional astrologers. I’ve started the on-camera interviews, which look great, thanks to the excellent camera, sound, and lighting work of my crew. During our shoot this past Friday, it was abundantly clear how much we’ve learned in eight months. I’ve been working insanely long hours in the editing room, and I’m even editing in my sleep. If, in my dream, I don’t like how a particular sequence looks, I “edit” it. More than once, I’ve awakened in the middle of one of these nocturnal “adjustments” laughing at the irony. Seriously, though, wouldn’t it be something if it turns out we indeed can “edit” our lives by revising our memories and visions of other incarnations? I know, I know. It’s pretty far out there. So throw me in jail for heresy. Looking at planetary transits, it appears that this week is going to be a lot like last week. Mercury in Gemini suggests that life is speeding along, but Venus retrograde in Mercury’s sign exerts a drag. On Thursday, the day Mercury entered his home sign, my car wouldn’t start. I got straight through to AAA, only to find out that the tow truck was broken down. Fortunately, all I needed was a jump start. Still, it took up a chunk of my day, when I’m running as fast as I can, only to get farther and farther past my deadlines. Monday’s Sun-Uranus sextile promises a spark of creativity and a happy surprise or two. But inconjuncts from the Sun and Mercury to Pluto early in the week suggest underlying tension. Something just isn’t working, like trying to fit the metaphorical square peg in a round hole. With aspects to Chiron also in the picture, old wounds could be triggered, possibly from other lifetimes. Many of us are experiencing cross-dimensional awareness. It’s part of the leap in consciousness that’s taking place on the planet. The initial contact can be unsettling, especially if traumatic memories are awakened. Mercury squares Mars on Wednesday, which gets my vote as the most difficult day of the week. Try not to go overboard in criticism, even if you’re asked for it. There will be a tendency to point out every little thing that’s wrong. Sensitive egos could get bruised. 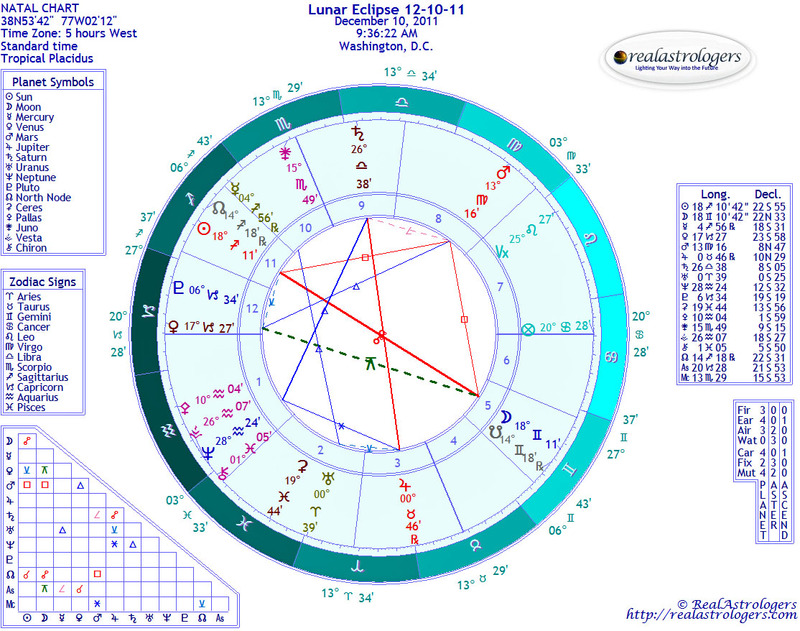 Mercury moves on to conjoin Venus on Friday and trine Saturn on Sunday. There’s an interesting three-way conversation here. Saturn is retrograde in Libra, which is ruled by Venus, while Venus is retrograde in Gemini, ruled by Mercury. There should be plenty of opportunities during these three days to discuss recurring issues in close relationships, particularly those that never got resolved. Again, I think it’s possible that we may even be able to address karmic issues from other lifetimes, with a fighting chance that we can come to some resolution and move on. So many people seem to have a lot to release right now. A collective heave-ho of old baggage sure would help lighten up the planet. Perhaps we could schedule a pickup with Universal Parcel Service to come get it. This entry was posted in Forecasts and tagged Mercury in Gemini, Sagittarius-Gemini eclipses, Venus retrograde on May 27, 2012 by Pat. Star falling into a black hole. Credit: NASA, S. Gezari (The Johns Hopkins University), and J. Guillochon (University of California, Santa Cruz). The portal is open. The info is going back and forth fast and furiously this week, as Venus turns retrograde in Gemini and a solar eclipse takes place in the sign of communications. Some of the synchronicities are astounding, and even the breakdowns seem to be part of the greater plan. More than ever, it’s important that you know where you’re headed, even if you don’t know how you’re going to get there. The “how” will come, but you need to be willing to change on a moment’s notice and to take a leap of faith. In one of my synchronicities this week (too long a story to explain here), I found this remarkable video about Tom Kenyon. 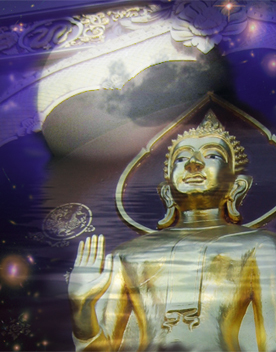 Among other things, it explains how we communicate with higher beings through sound. I have a feeling you’ll find something synchronous in it, too. Monday’s Mercury-Pluto trine brings deep insight that is also practical. Expect some of the “how” to present itself. There’s also a Sun-Saturn inconjunct, so be advised that some of what’s required of you may not be comfortable or easy. Indeed, “easy” isn’t happening for anyone I know right now. Opportunities can come out of the blue, but you have to be prepared to get out of your routine and venture into unfamiliar territory. With Saturn retrograde in Libra, it’s also likely that relationships are an issue. Some of the discomfort may involve working with people who for one reason or another make you uncomfortable. Venus turns retrograde on Tuesday and will remain in “reverse” until June 27. With Saturn also retrograde and in Venus-ruled Libra, we’re in for a heavy dose of relationship school. Some of your lessons are likely to involve unresolved issues with past partners, whether in this lifetime or other incarnations. Mars trines Pluto on Wednesday and opposes Chiron on Thursday. The first aspect favors result-oriented, material outcomes that require action and discipline. This is the third and final pass of a three-part alignment that began around Thanksgiving (late November). The second aspect is helpful for healing old wounds, in a surgical kind of way. In other words – as if often the case – you may have to endure temporary pain as you dig into old hurts in order to release the stuck energy. You may experience a “healing crisis” – a temporary worsening of symptoms while the healing is taking place. 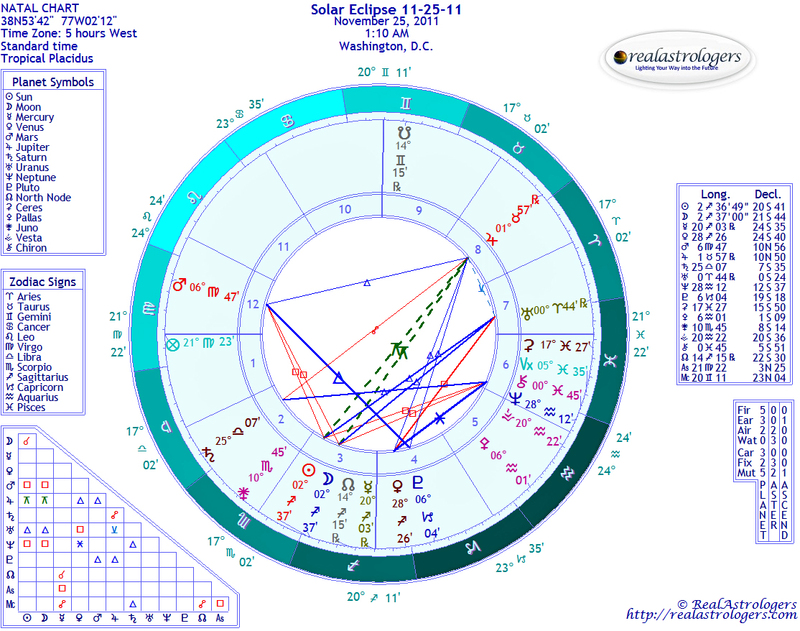 On Sunday, the Sun enters Gemini and immediately aligns with the Moon in a solar eclipse. This is an ongoing series of eclipses, so you should know by now what areas of your life are undergoing rapid and deep change. This eclipse represents the next “installment.” Watch for stunning new developments, which will gather speed and intensity as we approach the Full Moon lunar eclipse on June 4. As I wrote last week, we’re now in the most volatile and rapidly changing period of 2012. If you feel scattered and unfocused, give yourself some space while doing your best to keep your eye on your goals. I’ve suggested keeping an open mind, but with Venus retrograde, you’ll also need to keep an open heart. The portal goes both ways. This entry was posted in Forecasts and tagged mars in virgo, Sagittarius-Gemini eclipses, Venus retrograde on May 13, 2012 by Pat. The monolith from Stanley Kubrick's 1968 sci-fi breakthrough, 2001: A Space Odyssey. I keep telling myself that the universe was born out of chaos. This has been my mantra for the past two weeks, which have been nothing if not chaotic. The week ahead is going to be even more so, with Uranus turning direct this Saturday less than eight hours before a lunar eclipse in Gemini. If any one planet spells chaos, it’s Uranus, bringer of upsets, surprises, and general mayhem. Gemini, meanwhile, is ruled by Mercury, a lower octave of Uranus. Mercury also happens to be retrograde for another week – he turns direct on the 13th – and what a performance he has given us so far! Maybe if we nominate him for an Oscar now, he won’t feel obliged to keep up appearances for our sake. I’ve been “entertained” quite enough, thank you very much. Some of the things I’ve done have been shocking – and embarrassing. Can I tell my instructor that I lost a vital piece of equipment because Mercury was retrograde? Eclipses can be chaotic events in and of themselves. Typically, we experience some kind of rapid change around the time of eclipses, sometimes within a matter of days, but sometimes not for another 30 or 60 days – another one or two lunar cycles. Sometimes, we even experience our “eclipse event” before the actual eclipse. However, this time around, I suspect the change will arrive within a week or two after the Full Moon, and it will correspond in some way to the solar eclipse on November 25. Check your chart (or your StarGuide December forecast) to see where the eclipse occurred. Then look at the opposite house and check what you’ve got going on there. Your “news” could come in an area governed by either house. You’ll be affected most if the eclipses are in an angular house – the first, tenth, seventh and fourth. For example, if the solar eclipse fell in your tenth house and the lunar eclipse is in your fourth, you might hear about a new job, and it could require you to move or to spend a lot of time away from your family. However, with Mercury still in “reverse,” your actual start date might be delayed until after the first of the year. Indeed, let’s hope it is, because you really wouldn’t want to sign an employment contract or any other kind of contract while Mercury is retrograde. Also, if your eclipse event is an ending of some kind that makes you sad – for example, breaking up with a partner – you may need to let it go for good. Events that happen near eclipses seem to have a sense of purpose and permanence. In general, synchronicities continue to pop out all over. Every day, I hear a new tale or two about amazing “coincidences” with nearly impossible odds of happening. This is how you “see” invisible planetary energies. They manifest as events, people, and situations. You just need to learn to recognize the patterns. I liken it to the visual puzzles that used to appear in the comics section of the newspaper. Figures were hidden within drawings, and you had to turn the image around every which way to be able to find them. What was so amazing about the illusion was that some people could see it instantly, and others couldn’t see it, even with someone pointing it out to them. That pretty much sums up my take on the invisible energies coursing through our universe. Before we can learn to use them to our advantage, we have to learn to see them. On Monday, Venus in Capricorn trines Mars in Virgo – two earth signs known for diligence and practicality. It doesn’t sound very romantic, does it? Then, there’s something to be said for doing it over and over again until you get it right. On the same day, the Moon in bold Aries opposes Saturn in Libra. Don’t even ask who gets to be on top (hint: Capricorn is sometimes symbolized by a mountain goat). Saturday is the big day, with Uranus, the Awakener, waking up in the dynamic sign of Aries and ready to make up for lost time during all those months when he was retrograde. If you’ve needed a shakeup in your life, this could be your moment. Shakeups usually aren’t comfortable, but there’s no faster way to get where you want to be. The eclipse occurs at 9:36 a.m. on the East Coast of the United States, 6:36 a.m. on the West Coast. We might get to see a bit of it here, if the clouds part long enough. The weekend and the beginning of next week may be slow, but once Mercury returns direct on December 13, prepare to move forward at warp speed! Until then, keep your nerve … and keep your eye on the prize. This entry was posted in Forecasts and tagged full moon in gemini, lunar eclipse, Mercury retrograde, Sagittarius-Gemini eclipses, uranus direct on December 4, 2011 by Pat.